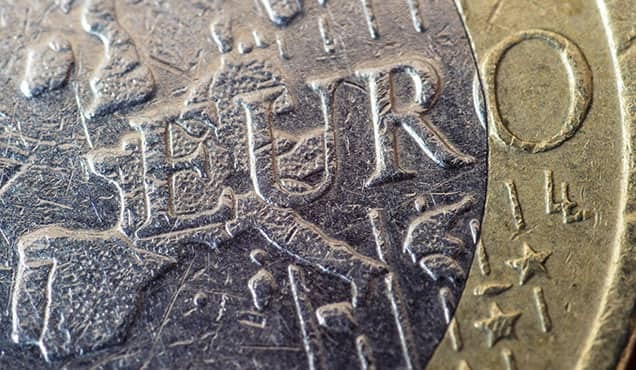 The latest flash PMI survey data revealed a cooling of Eurozone business growth to a four-year low, adding to signs that the economy faces a disappointing end of the year. The headline IHS Markit Eurozone Composite PMI® fell from 53.1 in October to 52.4 in November, its lowest since December 2014. 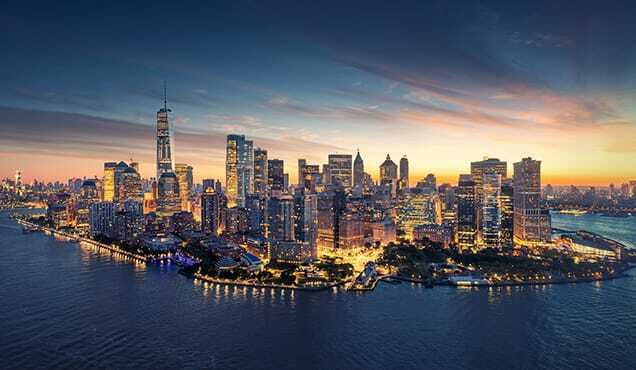 The survey showed that activity growth had waned in response to slower order book growth and falling exports, all of which were accompanied by deteriorating optimism about the outlook and elevated price pressures. 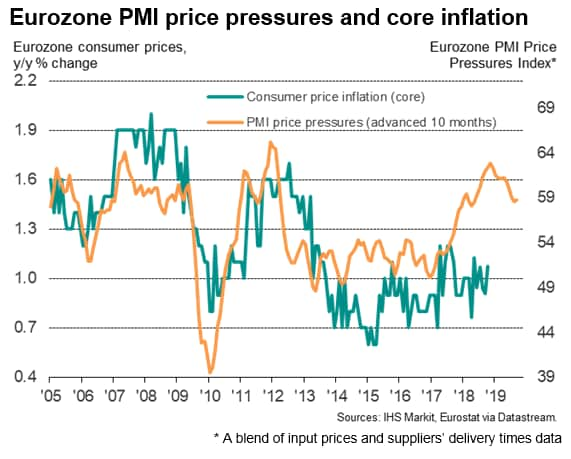 Although the survey price gauges will give some encouragement to the ECB in relation to firmer inflationary pressures, the disappointing business activity readings will add to concerns that risks to the growth outlook have become increasingly skewed to the downside. Historical comparisons with GDP indicate that the PMI is running at a level indicative of GDP rising by just under 0.3% so far in the fourth quarter. 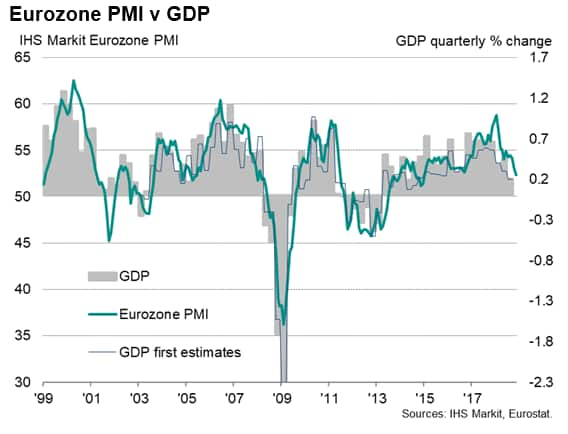 Note that it is unusual for the PMI to differ significantly from final estimates of GDP, with any divergences often explained by one-off factors (such as Ireland's shift to a new GDP accounting regime which boosted eurozone GDP at the start of 2015). PMI readings can therefore be looked at with some considerable degree of confidence as accurate indicators of the true economic growth trend (see also de Bondt's PMI-based GDP tracker paper). With the exception of the third quarter's 0.2% increase, which is expected to eventually be revised higher, the GDP rise signalled for the fourth quarter would be the lowest since mid-2014 and suggests strongly that the underlying trend is one of an economy that is losing growth momentum. 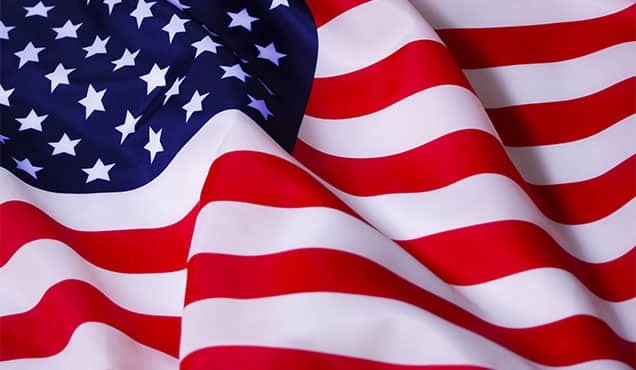 Manufacturing remained the main area of weakness, linked in part to having been hit hard once again by deteriorating exports, which fell at the steepest rate for five-and-a-half years. 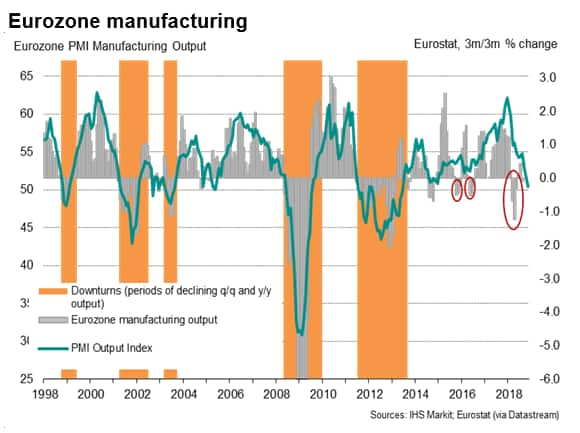 The November PMI manufacturing output gauge was the lowest since the current upturn began in July 2013 and, charted against official production, now points to falling output. 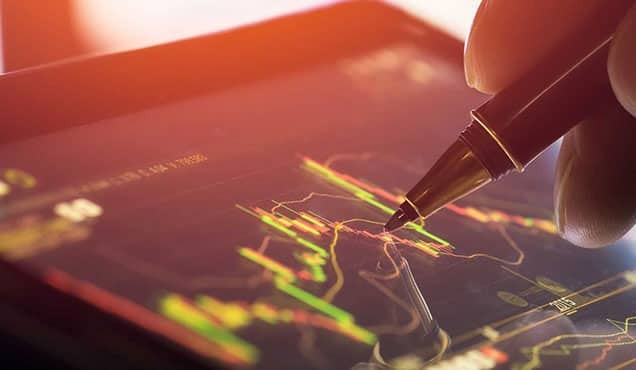 Unlike the last three official data downturns, which proved temporary blips, the PMI suggests that an impending downturn could be more serious. At least to some extent the slowdown is being temporarily exacerbated by persistent disappointing car sales, as manufacturers struggle to ship cars to customers in the face of new emissions regulations. 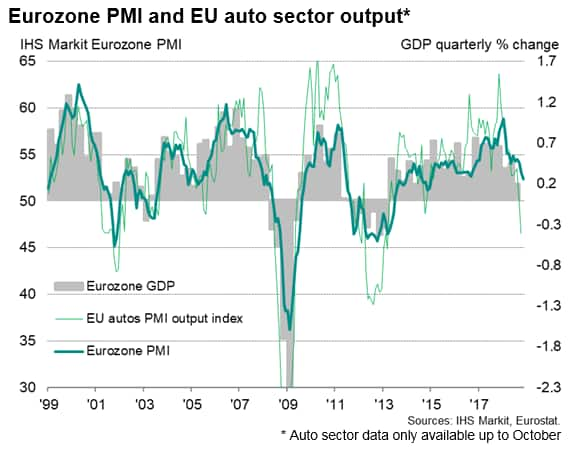 October sector PMI data showed the Eurozone auto sector downturn gathering pace, and November flash survey anecdotal evidence pointed to the car sector as a key area of weakness again. November sector PMI data will be available on 7th December and will provide more insight into the car sector impact in the fourth quarter. November also brought further signs that the manufacturing-led slowdown is spilling over to services, as consumer and corporate demand was often reported to have weakened in the face of headwinds such as rising political uncertainty, tighter financial conditions and higher prices. Although service sector growth remained more resilient by comparison to the goods-producing sector, with sales often reportedly buoyed by strong labour markets in some countries, the rate of service sector expansion waned to the lowest for just over two years. Service sector new business inflows hit a 25-month low and export orders fell to the greatest extent for almost two years. 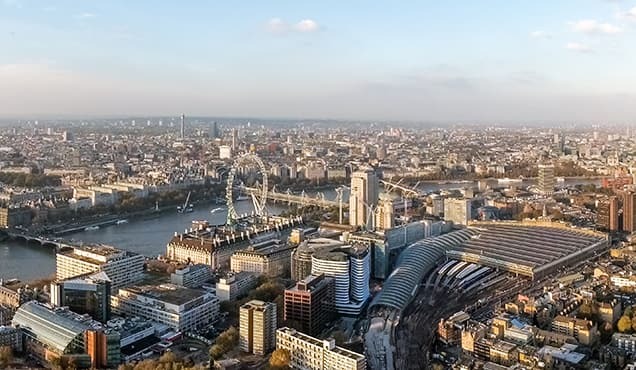 Employment growth meanwhile slowed in both sectors, dropping to a 22-month low overall as firms scaled-back expansion plans in line with the recent waning of order book growth and gloomier prospects. Slower jobs growth looks likely to feed through to reduced consumer confidence and lower spending, having the potential to therefore act as an increasing drag on the services economy in coming months. While growth slowed, price pressures remained elevated. 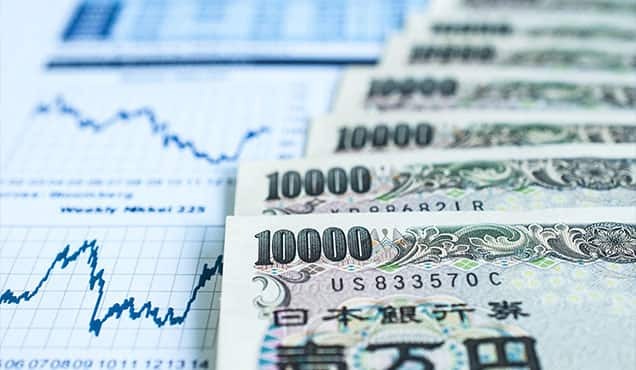 Input cost inflation remained slightly higher than the average recorded so far this year, attributed mainly to higher energy, raw material and staff costs. The latter pushed service sector cost inflation to one of the highest rates seen over the past seven years. The latest data hint a change in rhetoric at the ECB, where policymakers have viewed risks to the growth outlook as broadly balanced. The weakness of the latest data hint at the rhetoric being changed to recognise that the risks have become more skewed to the downside. In fact, from historical perspectives, the current PMI output index is more consistent with policy being loosened rather than tightened. 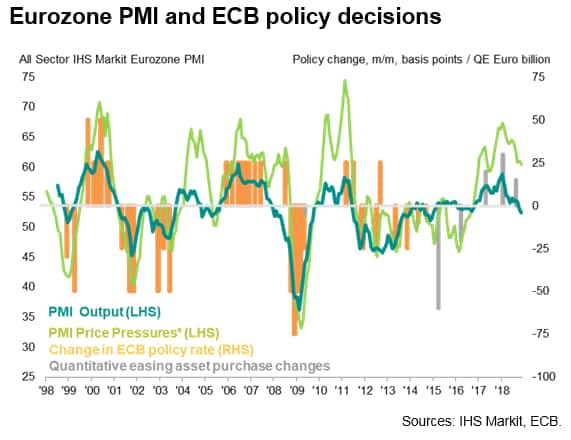 While the still-elevated levels of the survey price gauges add some support to the ECB's hawkish stance, even with these strong price numbers brought into the equation the probabilities have shifted more in favour of a loosening of policy than a tightening, albeit only slightly. As our recent paper demonstrates, the current mix of input costs and output indicators from November's flash PMI means that the probability of policy being loosened has risen to 6% while the probability of tightening is down to just 2%. This is in stark contrast to earlier in the year, when the chances of policy being tightened had risen close to 20% and fallen to practically zero for more stimulus. 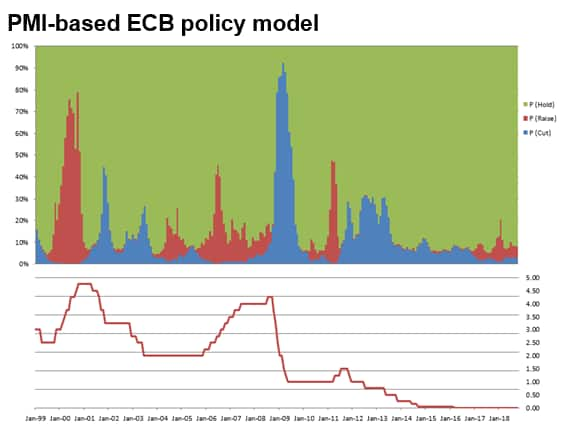 What must also be borne in mind is these probabilities are derived from calculations based on prior ECB policy changes, including those of 2008 and 2011, which are viewed by many as policy errors in which the ECB responded to higher prices and downplayed signs of economic growth faltering, only to have to reverse policy course soon afterwards. The PMI suggests that this is perhaps a situation we may in fact be once again entering.